This program can provide, for eligible households, up to either $300 or $500, dependent upon your electric provider, of assistance with an electric bill and/or a room air conditioner unit. 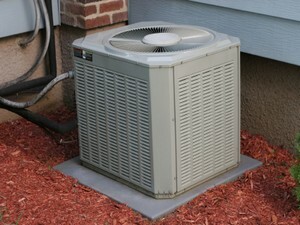 Central air unit repair is also available. To be eligible for assistance there must be a household member over age 60 or a household member with a documented medical condition resulting in the need for electric or cooling. To qualify for an air conditioning unit the household must not have working central air conditioning, and not have received a unit from the HEAP program in the prior 3 years. Air conditioner supplies are limited. All physician statements must state the need to qualify and be dated within the prior twelve (12) months. PIPP plus customers are not eligible for electric assistance but may qualify for an air conditioner. The program requires that electric service be in the name of an adult household member or landlord with documentation the applicant is responsible for the bill – you must provide the account number. Please note you must provide all heating bills at the time of application. Total household income must be at or below 175% of the current Federal Poverty Guidelines. For households with a disabled member, you must provide documentation of disability. Home visits may be available for seniors and home-bound disabled applicants. For More Information or to set up an appointment please call Highland County Community Action – Hillsboro 937-393-3458 or Greenfield 937-981-9718. *For additional locations, please contact the Hillsboro Office.